YouTube Channel of Theme Songs Played by Tesla Coils | @08Kutt « Adafruit Industries – Makers, hackers, artists, designers and engineers! 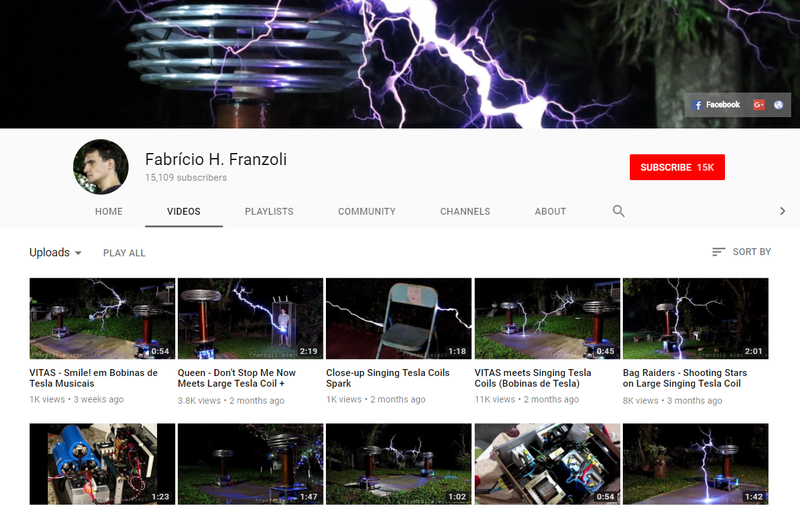 Fabrício H. Franzoli’s YouTube account includes a bunch of songs, theme songs, and melodies played by tesla coils – from Beethoven’s 9th Symphony to Super Mario Bros. and more. See all the videos here on YouTube.